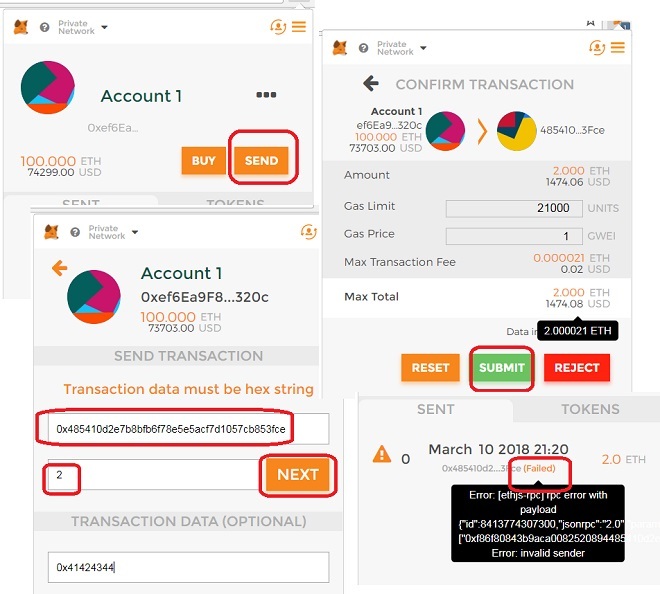 This section describes the error occured with sending Ether from the MetaMask account to my Ether private network. 4. Click "SUBMIT". I should get a transaction ID. See next tutorial for solutions.